Young Greens make a difference. Youth are under-represented in today’s political system. Youth suffer from lower voter turnout and disproportionately low representation in all levels of government and political systems. The Young Greens combat this by providing proactive engagement of not only youth members of the Party but all youth in the Province. First, there are two Young Greens Representatives on the Provincial Executive. The Provincial Executive is the highest governing body in the Party, and the job of the Young Green Reps is too advocate for youth on all governance decisions the Provincial Executive makes. These decisions include filling committees, approving budgets, making strategic decisions, and much more. These representatives are also responsible for running the Young Greens, including helping campus clubs (below), running social media, and running initiatives to organize and mobilize youth. Second, there are campus clubs. 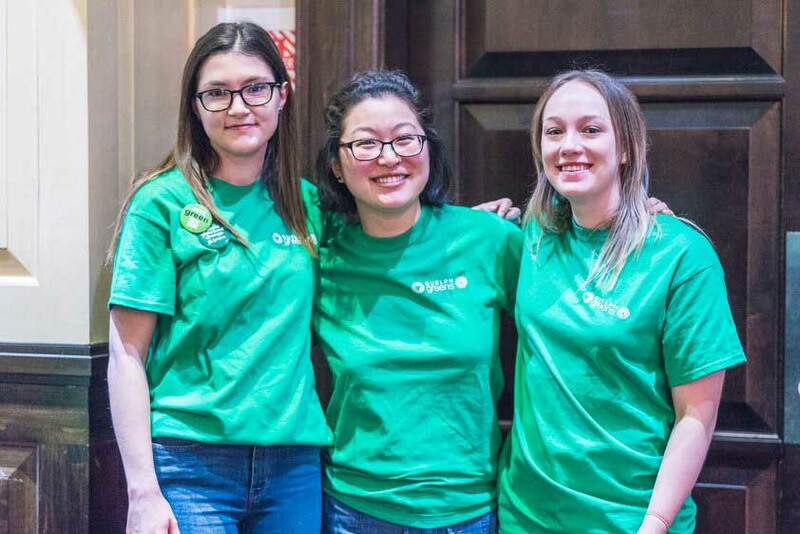 Campus clubs operate at post-secondary institutions and are a great way for Green Party supporters to stay engaged with the Party while away at school. Campus clubs are active in their communities promoting the Party and it’s values and are also a great way for supporters to make connections and socialize. Members of campus clubs (in addition to anyone under the age of 18) get free membership in the GPO. The Party defines “youth” as anyone age 29 or younger, so if you fall into this category but don’t attend a post-secondary institution, or don’t attend one with a campus club, we’re still here to help! The YGO organizes activities outside campus clubs and can help any youth engage in politics and the Party. Are you under 18 or a Campus Club member? Get your free party membership!